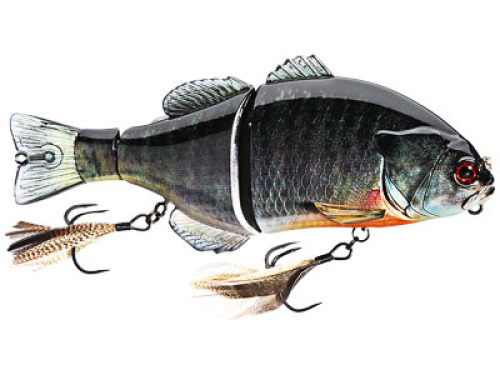 Jackall's Gantarel is their most innovative swimbait yet. Made with two double joints, it creates the most realistic bluegill imitation on the market designed to make even the most weary bass strike. Its effective in a variety of ways from a straight retrieve to fishing it like a jerkbait. Comes with feathered trebles and the option for a trailer hook on the tail, you will be blown away with the life like action. 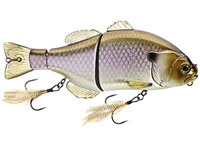 Gizzard Shad 6 1/4"-2.5 oz. Spawn Gill 6 1/4"-2.5 oz.